Grow your church with web based church management software. Build community among small groups and plan outreach ministry ideas for church growth with church management software. Make disciples by developing church leadership training programs to drive church planning, recruiting, & growing a healthy church with the best church management software. 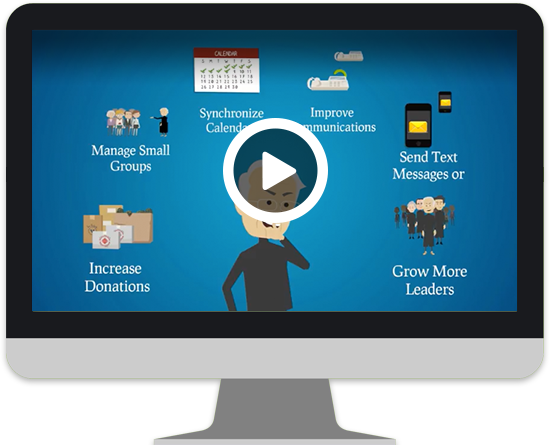 Move your church forward by improving communications, integrating online donations, and leveraging online church management software. Grow Your Church with Online Church Management Software. We help Church Administrators, Pastors, and Ministry Leaders make church administration easy. Imagine Mobile Church is Cloud-based, an online web-based church management software designed to easily connect, train, and grow your church in the cloud. By integrating ministry calendars, online giving, small group ministry tools, text messaging, video conferencing, task management and more, your church can increase teamwork, streamline ministry communications and deploy effective church growth strategies. “Today's generation and workforce demands on-line training."